This podcast interview is perfect for someone who has ever felt broken, suffering, or alone. It is packed with experience and advice for the parent who is trying to guide their children in life, allowing for agency, encouraging their own process, but being instrumental in the shaping of their character through question asking and discussion. Brooke Lark was my instant friend, I knew she was my kind of people from the second I met her and heard her laugh. Brooke is the brilliant talent and wise sage behind The Creative Sherpa, a foodtographer, podcaster, and film and creative media producer. Brooke shares the experiences after her divorce, that left her with $40 in the bank to take care of her 4 children, of how she learned to unlock and push through suffering and the uncomfortable to be able to face her life, realizing she could either get buried and shoulder it. She shares the moments when she was able to let go, when the anger was able to leave, and she finally saw herself capable of showing up every day to do all that was needed. She imparts some wise words as a single mom and how she recognized small things as massive wins in her life. 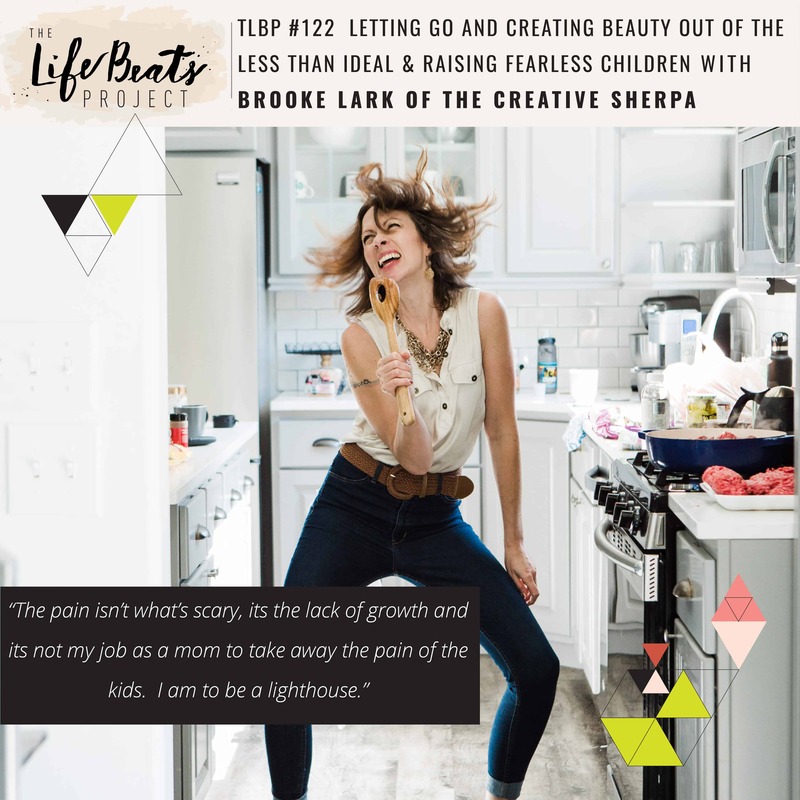 She shares how she has been able to raise children who are unafraid of making their own life, because they are not afraid of the pain, citing that it is not her job as a mom to take away her children’s pain. She shares some examples of questions and conversations she has had with her children that have helped them evolve and learn through their own experiences. She talks about how holding on to perfection is really trying to take the pain away from everyone else. She paints a picture for us of a how happiness can look very different than we had imagined and how we can strive for an ideal but embrace the here and now whatever that looks like and see the beauty in it. Listen and be inspired to not be afraid to unlock suffering and push through the uncomfortable in your life in order to let go of fear, raise children who are unafraid and undaunted in life realizing it is not our job to take away their pain, and to embrace the happiness that exists in your life that may look less than ideal or differently than you imagined.